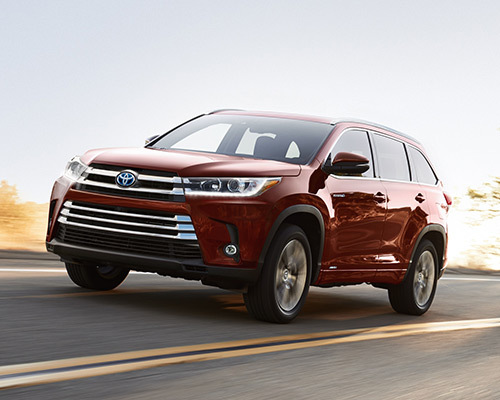 Catapult your road excursions and family sojourns to the next degree, all while boosting your appeal in Dover NH, by buying or leasing the all-new Toyota Highlander. You will own the potential to effectively pilot across countless escapades and experience unexplored locations within this mid-size crossover sport utility vehicle (SUV). 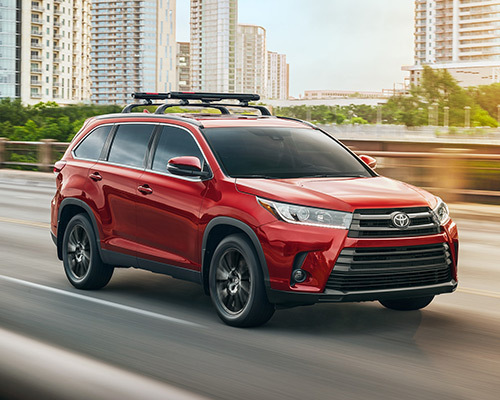 If you fancy riding in a vehicle that feels like a luxury car, features minivan functionality, and offers up a ton of cargo space, then Bill Dube Toyota presents the Highlander as your perfect option. The trademark design of Highlander is enhanced through its exquisite front fascia fashioned with a unique, iconic grille for every variant and fashionable headlights that incorporate available integrated Daytime Running Lights (DRL). Standard LED taillights for boosted visibility, bigger alloy rims, and sound-reducing insulating padding in the floor are all part of every new Highlander. Toyota completely appreciates that comfy accommodations for every passenger serves as a significant role in limiting driving stress. Presenting a roomy floor plan for as many as eight individuals and tons of storage space, Highlander yields five-star accoutrements with soft components, reclining 60/40-split seating in the back bench, upgradeable high-grade leather-adorned seats, and an add-on panoramic moonroof. As you can tell, cozy rides are positively waiting for you. Venture anywhere your mind wishes to and save fuel along the journey to your vacation spot by making use of the economical functionality of a purchased or leased Highlander. Toyota remarkably matched an optional 3.5-liter (L) V6 direct-injection motor and Direct Shift-8AT (eight-speed automatic transmission) to boost torque and horsepower, optimize acceleration, and allow towing up to 5,000 pounds (lbs.) anytime your undertakings turn out to be immense. What is more, optional Dynamic-Torque Control All-Wheel Drive (AWD) helps you travel on tough trails with assurance. Cruise about Dover and throughout varied trails confidently inside LE or LE Plus with upgrades including heated power outside mirrors, a pop-up back hatch window, and an eight-way power-adjustable driver’s seat. Furthermore, a 4.2-inch (in.) color LCD Multi-Information Display presents you vital data and five USB ports permit multiple individuals to hook up their mobile phones. With the assistance of leather-adorned heated front seats and retractable window sunshades located in the second row to a rear storage section tonneau cover, XLE and Limited can more than match your demands for luxurious upgrades. For people with a sporty streak, SE boasts sport-tuned suspension, 19-in. multi-spoke alloy wheels, and a gloss-black grille to better suit your wild side. Spend fewer moments stopping to fill up and appreciate taking the scenic route more regularly by choosing the Hybrid LE, Hybrid XLE, or Hybrid Limited. With a Super Ultra-Low Emission Vehicle (SULEV) rating and EV Mode (uses electric power only), these hybrids yield 30 metro miles per gallon (mpg) and tow a max of 3,500 lbs., so you do not have to forfeit functionality for fuel efficiency. Leave the days of the kids in the back seat moaning “How much longer?” in your rearview mirror. Upgrading to the Blu-ray Disc system when purchasing or leasing the latest Highlander gives you access to a nine-in. screen, a pair of cordless headphones, RCA jacks, and even a handy remote. While the kids are staying busy and happy, you will be able keep your attention on the street. Trimming down on how frequently you gas up in Dover is an added Highlander perk. Engineered to lower fuel consumption, the automated Stop and Start Engine System (S&S) turns off the gas-powered engine whenever you come to a stop. Letting your foot from the brake restarts engine functionality straight away for effective operating. 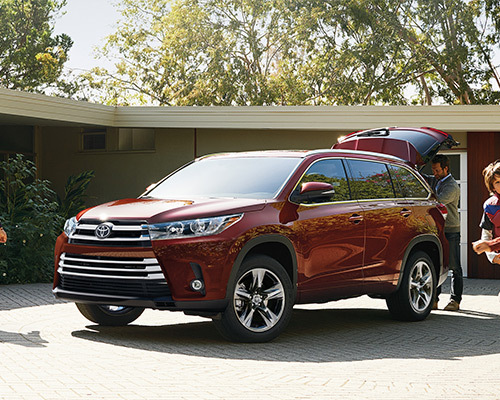 Toyota Highlander comes geared up with the online functionality needed for keeping you synced up no matter where you are cruising and jamming out to your ideal tracklist. The Entune Audio setup enables you to easily utilize hands-free phone calls, audio streaming, voice commands, and many other services via a six-in or eight-in. high-resolution touchscreen display. Built-in turn-by-turn directions, a complimentary SiriusXM Satellite Radio test subscription, and multiple worthwhile programs are also included in luxury variations. 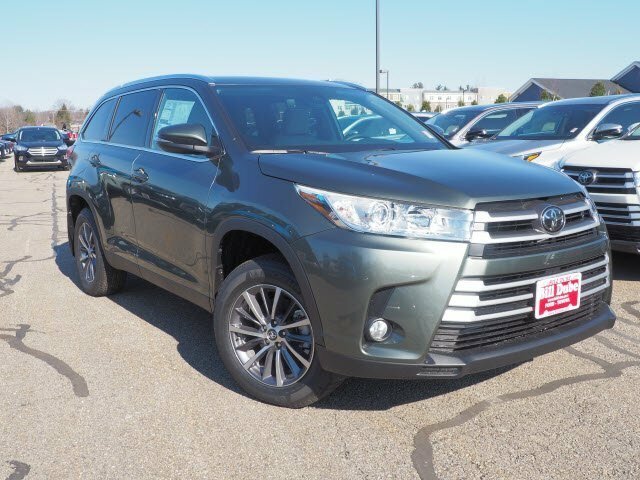 As you can see, it should come as no surprise why shoppers in Dover NH continue choosing the exciting Toyota Highlander for their upcoming journeys. Stop by our inviting showroom today in Dover NH for your ideal crossover SUV.